It takes a lot of guts to call yourself an artist. The term artist means something different to everyone. Call yourself an artist and people either immediately agree or call you a fraud. The word artist is polarizing. For some it’s a great thing, but others it’s a joke. You better mean it if you label yourself as an artist. 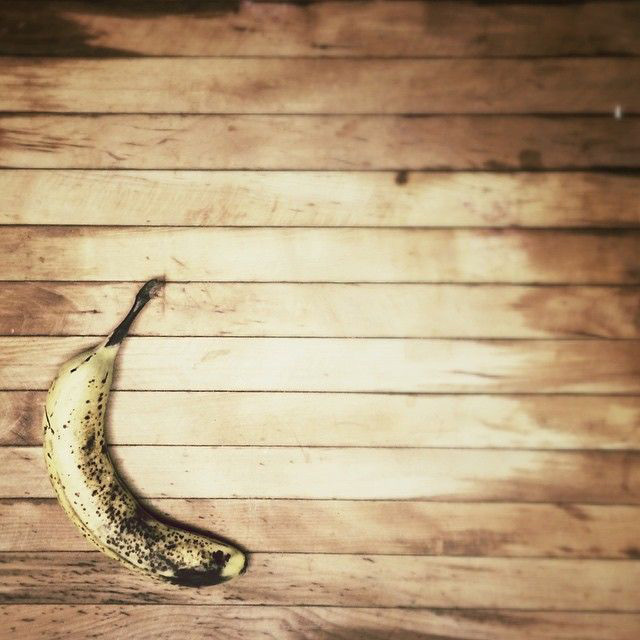 Nothing says artist like a banana on butcher block. So, here are 3 random thoughts on being an artist. I’ve been thinking about them today because of a couple of conversations I had with friends. One was a text conversation between a group of friends – all better artists than I am. The other was with a group of friends I meet with every day to discuss the bible. I love Malcolm Gladwell. If you read one book this year, I would make it one of his books. Specifically, I suggest either Outliers or his newest book, David and Goliath. 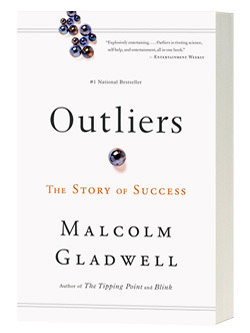 In Outliers, Gladwell suggests that to become great – aka genius like – at anything, it takes a minimum of 10,000 hours of work perfecting that craft. In the book he uses the Beetles and Bill Gates as two examples of this theory. If you want to be an artist it takes dedicated, hard work. Steven Pressfield, another author I recommend wrote a book aptly called Do the Work. He states there is no substitute for simply sitting down and doing the work of an artist – writing, photographing, painting, drawing, creating, designing, printing, etc. Don’t be fooled. Art is hard work. If I stop growing, I’m not alive. I’m in the middle of reading the story of Solomon. He is known through all of history as one of the most famous, wealthy and wise men to ever walk the earth. On top of that, Solomon was an artist. He never quit creating, but there does seem to be a point in his life when he feels he’s arrived. About half way through his reign as king, he completed building a temple for God and a palace for himself. It was his life’s dream, but he still had 20 years left of ruling a country and living his life. Solomon didn’t know what to do with himself. His view of life became distorted by his own success. As an artist, there is never a point when you arrive. There may come a day when your art is widely recognized and praised, but you will never arrive. You will never perfect your craft. Number 1 (Hard Work) will always apply to you. Though Solomon lost his way part way through his life, he always remembered one important fact. Nothing he had was his. All that was his – wealth, wisdom, creativity – everything…came from a higher source. Because he recognized the gift had from God; he shared. Solomon lived with open hand. Solomon gave. You may not be an artist, but you are creating. I know you are, because you are alive.